Lots of questions have been coming in about whether to be a sole proprietor, LLC, or S-Corp. I decided to invite my father in-law to chat with me about this topic with all of you! My father in-law, Jim has a lot of great business experience. He ran his own business for many years, did taxes for H&R Block, and SCORE counseling. He also is an engineer which explains his (eccentric side) great attention to detail. Our chat is much like what you would experience if you went in for a SCORE counseling session. We discuss various scenarios like being an individual tutor with no employees to a tutor that has employees. I am so thankful for Jim and his willingness to come do a video with me. When I called and asked, he was speechless. That never really happens! I told him to think on it and the next day he decided he would do the video with me. One of the things I admire most about Jim is his patience with decisions (well most of the time) and ability to think through all options before moving forward. I (at times) get anxious about decisions and he has this way of talking sense into me. In this interview, he said one thing that really got me thinking (and anxious too). I know I am guilty of that for sure! Just this week I was up worrying until 3 AM (YES—3 am!) about details. I called him the next morning and told him maybe I wasn't cut out for this business stuff! In his own gentle way, he told me not to be so hard on myself. Just what I needed to hear! 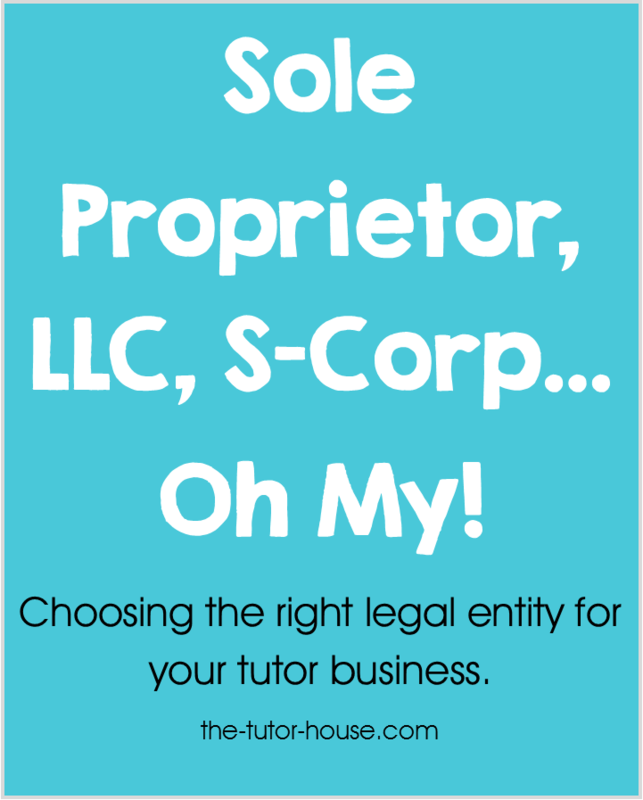 Video: Sole Proprietor, LLC S-Corp…Oh My! If you have any questions for us, leave them in the comments below and we'll do our best to answer them! Great job! You presented with very useful information. Thanks Again! That was awesome! It was so informative AND he’s so cute! What a lucky daughter-in-law. Thank you. 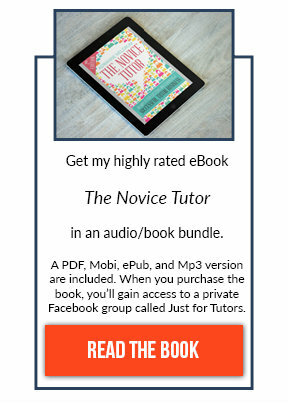 I wish there could be a video like this about tutoring in my country… it would be great help! Thanks so much Castle Rock Tutoring, Clairita, and Amy! Teresa–me too! I wish I could be knowledgeable in all of that, when you get it figured out-you can share it with all of us! What a great resource – that was a lot of questions answered in one video. Be sure to thank your father-in-law for all of us! This was very informative! I really thank you and your father-in-law in making and posting this video! This was very helpful. Thank you both so much! I’m a little confused as to whether I need to file a DBA. I already made business cards with a “business name” but I plan to be a sole proprietor. In my state (IL) it seems to be required if I am using a fictitious name, but I want to make sure it’s not an unnecessary step. Thanks for all the great tips!! 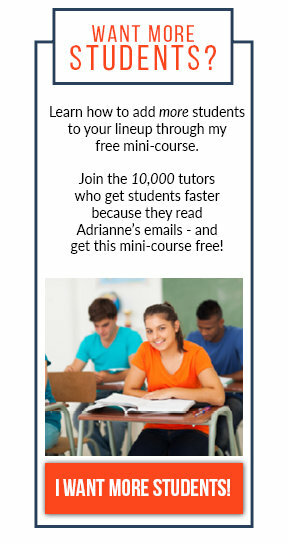 Yes, if you are using a fictitious name like, Happy Little Owl Tutoring, you’ll want to file a DBA with the state of IL. In my home state, the process only took a few minutes and was all done online. I was able to print my official EIN number that is attached to my DBA. You will still be considered a sole-proprietor. This step helps people affiliate you with a company name.